Whether you work from home full-time, or simply bring work home with you after the day is over, sometimes it takes a little kick to get you going. With all the distractions that come with being at home, a set office space is absolutely necessary for you to put 100% into your work. Do away with any distractions, and set yourself allotted break times that’ll allow you to complete your work just as if you were at the office, but with the creature comforts of home. The easiest way to want to work from (or at) home is to have an office space that is built to suit your needs, without sacrificing style. Choose a room with a lot of natural light for days when the work week extends through to the weekend. The natural light from outdoors will calm you through stressful tasks, while also motivating you to finish and get out there for real. For evenings and late nights, be sure to keep a lamp on your desk, like this vintage banker’s lamp from Wayfair. Keep the overhead lights turned off, since they can be triggers for headaches and nausea. Leave those ones at the office! Color psychologist Angela Wright says that blue stimulates the mind, allowing you to be “the most productive” possible. Consider a color like Benjamin Moore’s Lake Placid or Sherwin Williams’ Mountain Stream for understated blues with a hint of grey that’ll allow you an ease of productivity without sacrificing style. Books are an easy way to bring some style into your office space. Depending on your job, the books may be necessary for assistance, or if you’re a book worm with more books than space, adding shelving to your office will do the decorating for you. Having research materials at hand will prevent any distractions. 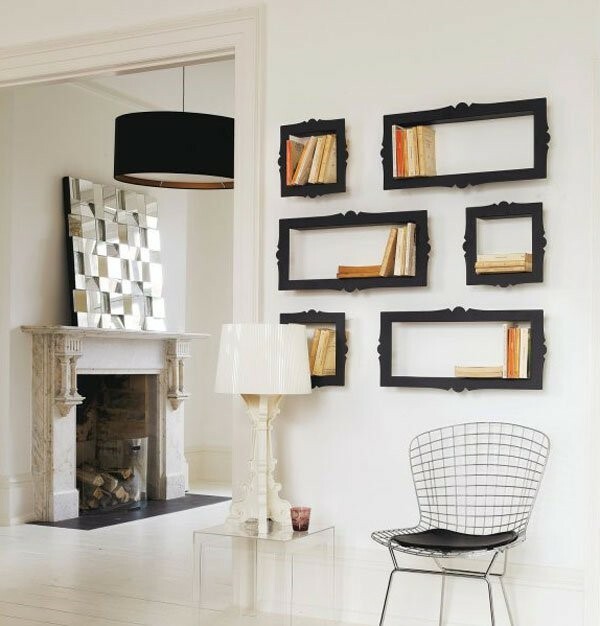 Try some innovative shelving like these, incorporating books and empty picture frames to your wall space. While a table chair stolen from the kitchen may seem tempting, do yourself a favor and get an office chair for your home office. You don’t need to sacrifice your office’s décor for this, of course. The typical black leather office chair can stay at the office, when you’re home, consider something a bit more modern, such as this white one, also from Pottery Barn. The soft linen fabric begs to be seated in, but the ergonomic design allows for optimum concentration. 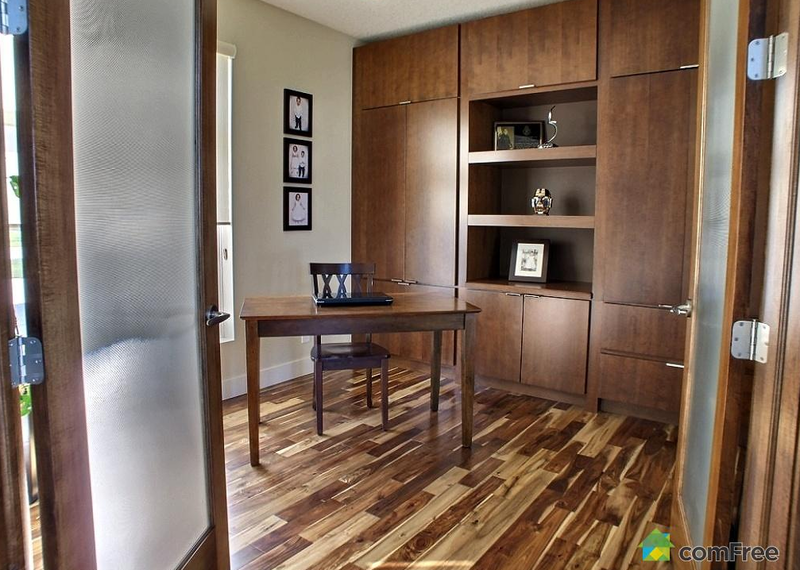 Complete the look with the perfect desk for a stylish office that commands your attention! Adam is the Publisher of Copse Magazine and owner of Sailfin. He spends his time hosting and making websites for other people, copywriting, and publishing white label content for other companies alongside Copse Magazine, his creative outlet. He has two children and lives in Kent in the South East of the UK. When should you talk about death with young children? Life Centric. An integrated approach to a positive life; looking holistically through a combination of family and parenting magazine; a house and garden magazine; life and wellbeing magazine; a travel and tourism magzine; and a business and work magazine. Arts Funding: Why are we depriving our next generation? © 2007-2018 Sailfin Ltd. All rights reserved. Sailfin Websites and Sailfin Magazines are trading names of Sailfin Ltd. Sailfin Ltd is incorporated in England & Wales. Registered No: 6431517. Registered address: Sailfin Ltd. Warwick Road, Kennington, Ashford, TN24 9EH, UK.